Team Takeover just capped off arguably the most impressive season in NIKE EYBL history, finishing 23-1 and the Peach Jam crown. 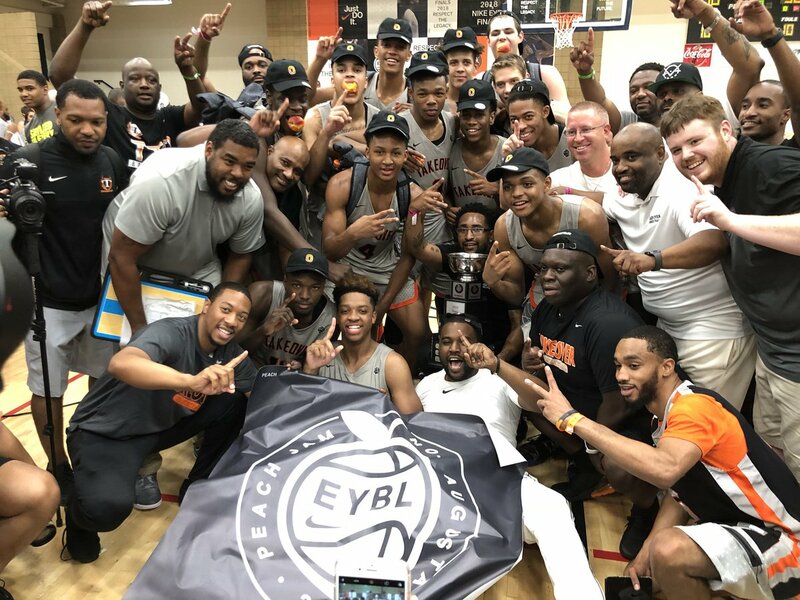 Throughout their dominant 2018 campaign, they didn't have one player selected to an All-EYBL team. A 'team' through and through, Takeover didn't need a star to dominate. Each player knew their role, what the needed to accomplish, and how to get it done. Individual awards didn't matter, as long as the team prevailed. Well, the team prevailed, and now they'll finally get their individual award. 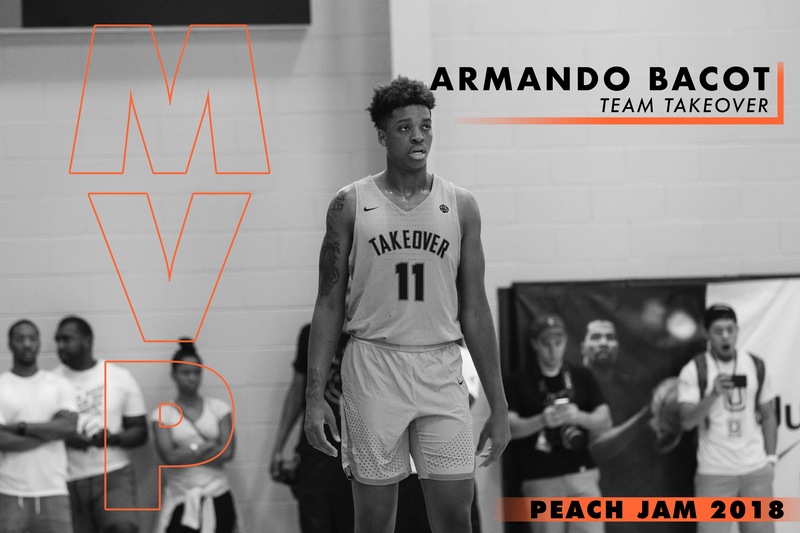 Junior big man Armando Bacot absolutely flourished in North Augusta, South Carolina over the past five days, guiding the super-talented DC-based EYBL squad to their second title in Peach Jam history. In seven games heading into the Peach Jam title game, Bacot averaged 11.3 points, 58.6 FG%, 12.8 rebounds, 1.6 assists and 1.4 SPG. His 8-game stretch saw him show out against 2019 studs James Wiseman, Isaiah Stewart, N'Faly Dante, Vernon Carey and Trayce Jackson-Davis. His facilitating skills were on full display, but it was his defense that stood out the most. Bacot anchored Takeover's exceptional ability to stop their opponent, and he was the very best at making sure they didn't get second attempts at the basket; Bacot was the leading rebounder at Peach Jam heading into the championship. He kept up his output versus Team WhyNot. The 6-foot-9 big man put up 14 points, 14 rebounds, four assists and two blocks on 6-for-8 shooting. He paired with Hunter Dickinson (15 points) to create the ultimate mismatch on the interior - an advangatge that WhyNot couldn't overcome. "We just fought hard all season. We played the best defense in the country, we played hard as a team and made it a difference." Bacot told ESPN's Adam Finkelstein. The same core unit has been playing together since before they were ten, and Bacot credits their on-court efficiency to their off-court bond. ""We all love each other," Bacot said of his team. "Off the court and on the court, we've learned so much about each other. " Scroll down for a game-by-game look at Bacot's tournament success.